Home - DBR Industries, Inc. 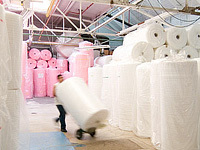 Welcome to DBR Industries, Inc., the number one converter of bubble and polyethylene foam packaging materials. 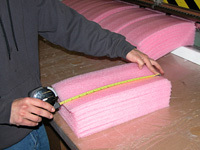 DBR is the number one source in North America for custom converting of polyethylene foam and bubble. 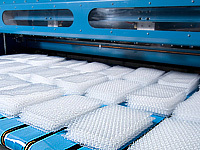 Our facility can custom manufacture bags, pouches, and offers slit and perforated bubble packaging and polyethylene foam. 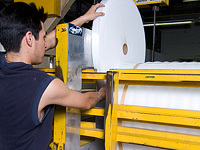 We also supply mailers, air pillows, and other specialty packaging items. DBR Industries has been converting flexible packaging materials exclusively for distributors since 1983. Offering great products and service is a minimum for DBR. We go above and beyond because know what it takes to exceed expectations and keep satisfied customers coming back. Our products and services are superior, and our credible policies and knowledgeable staff are incomparable. DBR customers know they can consistently count on our services to be accessible when they need them most. DBR is reliable and our customers know that they can expect nothing less than excellence from us time and time again. At DBR, we exceed expectations by Doing whatever it takes to make our customers happy. We make it easy to do Business with us, always providing prompt answers and quick service. All DBR employees make sure that every order gets done Right and is sent out on time. Copyright 2012 DBR Industries, Inc.